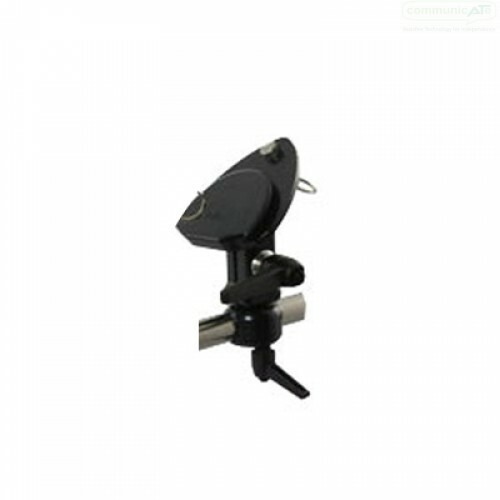 A mount with variable adjustability for height and device position, ideal for positioning technology on tables and desks especially larger devices or eye-gaze access technologies. Pricing from $777. The Vertical Desk Stand from DAESSY provides a solution for larger devices and taller placement to use on a desk or table surface. 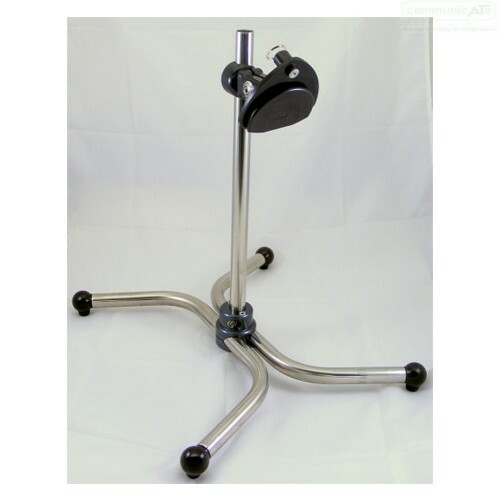 The Articulating Quick Release Base, included by default, allows infinite adjustment of the angle and rotation of the attached device or computer and can be set anywhere along the vertical tube for height adjustment. Vertical Desk Stand with standard Articulating Quick Release Base - adjustments via the included Allen Wrench - "Set-and-forget"
Vertical Desk Stand with Articulating Quick Release Base and ONE quick handle - face articulation via a handle, height adjustment via the included Allen Wrench - "On-the-fly screen articulation"
Vertical Desk Stand with TWO quick Handles - Height Adjustment & Articulating Quick Release Base both by quick handles - "On-the-Fly screen and height adjustment". The Vertical Desk Stand disassembles for compact storage or transportation. 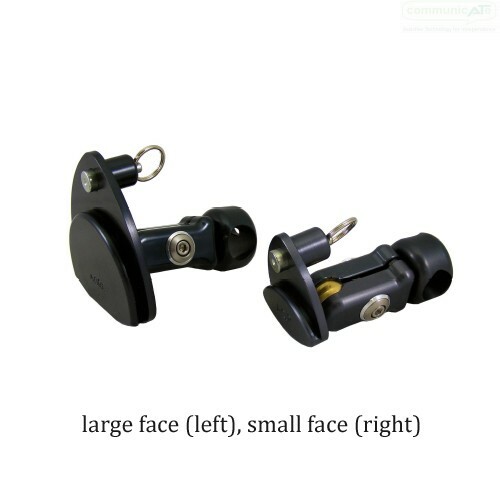 The default AQRL-87 may be substituted for the small face AQR-87 for use with smaller devices & computers although the large face size if supplied as standard is no choice is specified at ordering. See our purchase options sections below "Quick Overview" above.